Multiple snowmobiles crashed in Penobscot County on Friday, Jan. 11. 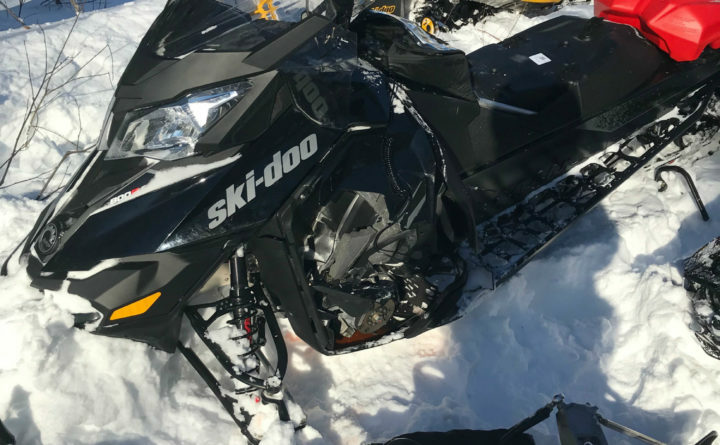 Two snowmobiles were initially involved in a “nearly head-on” crash while negotiating a turn around 11 a.m. Friday in Soldiertown Township, according to Game Warden Cpl. John MacDonald of the DIF&W. A 15-year-old boy from Lancaster, Massachusetts, collided with 46-year-old Michael Byram of Hermon. The 15-year-old broke his arm and has a possible concussion, while Byram broke his collarbone and shoulder, MacDonald said. Several other riders were operating snowmobiles behind the 15-year-old, and two collided with trees while trying to avoid the initial crash. Those individuals were a father and son, Robert Buzak, 49, and his 14-year-old child, both of Ayer Massachusetts. Buzak was mildly injured, and his son broke his shoulder and has possible back injuries, MacDonald said. Two riders who avoided the crashes drove to get cell reception and called for help. Because of the remote location, it took almost an hour and a half for Patten Ambulance and the Maine Warden Service to snowmobile the 10 miles to the scene of the crash, MacDonald said. The injured individuals were taken out of the woods by rescue-boggan to an awaiting ambulance, which then took them to Millinocket Hospital. Byram was taken away by snowmobile because he began to show signs of hypothermia, MacDonald said. All the riders involved in the crashes were wearing helmets. Officials said speed appears to have been a contributing factor in the crashes, but believe alcohol was not. A Rhode Island man was also injured in a snowmobile crash Friday in northern Franklin County.